Brawlout is launching on Xbox One, PlayStation 4, and PC on August 21st with new characters, Party Mode, and bonuses for pre-orders! Why should Big N players have all the fun? 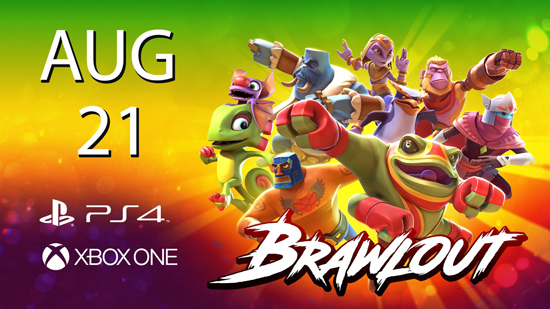 Brawlout, the dash-n-bash party fighting game from Angry Mob Games, hits PS4, XboxOne, and PC with special guests Yooka-Laylee on August 21st, and - surprise! - the headless protagonist of Dead Cells this fall. Xbox One owners that join the mayhem will have access to an exclusive party-mode that drops combatants into a series of new, crazy play modes that are perfect for local match-ups with friends or for taking on other brawlers in online play. Hot on the heels of Dead Cells' upcoming console release, the hard-hitting-hero is being added the ranks of other indie darlings that have joined the Brawlout fray including Hyper Light Drifter, Guacamelee!, and Yooka-Laylee. 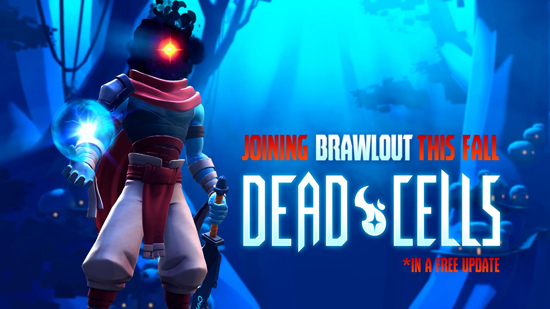 Dead Cells will hit the stage as a multi-skill, multi-weapon expert that uses his battle-worn shovel, sizeable hammers, and sword-attack-arsenal combined with special magic effects to lay combatants flat. Brawlout is available for pre-order on PlayStation 4 in North America on the Official PlayStation Store now. Fans can grab their advanced copy for Xbox One on the Microsoft Store for $19.99. Brand-new Mighty Paco and Mascot Feathers skins are available as exclusive pre-order bonuses! Brawlout is also available for the Nintendo eShop, and Steam.